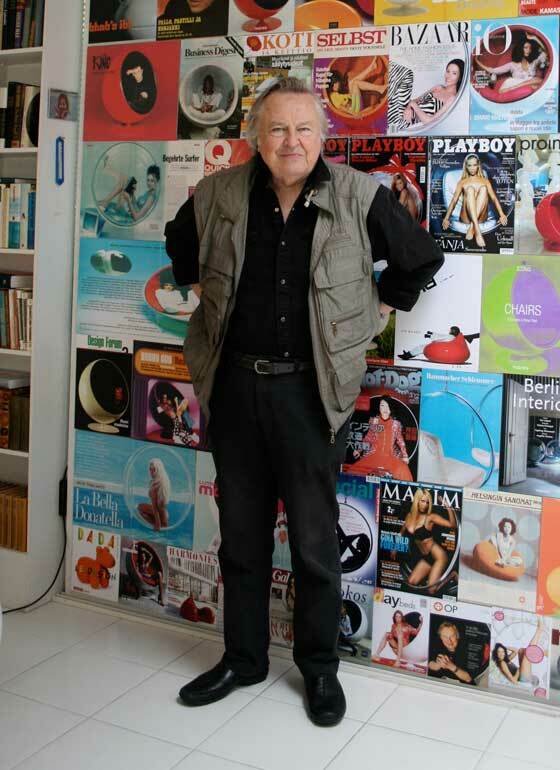 The Finnish designer Eero Aarnio (b.1932) is one of the great innovators of modern furniture design. In the 1960s, Eero Aarnio began experimenting with plastics, vivid colors and organic forms, breaking away from traditional design conventions. His now iconic plastic creations include the Ball (1963), the Pastil (1968), and the Bubble (1968) chairs which echo the pop culture and spirit of their time. Many of Aarnio’s works are included in the world’s most prestigious museums, including Victoria and Albert Museum in London, MoMA in New York and Vitra Design Museum in Weil am Rhein. 1997年、マリエケ・ストーク、アーウィン・ブリンカーズ、ダニー・ヴァン・デン・ダンゲンの3名によって……… Experimental Jetset is an Amsterdam graphic design unit founded in 1997 by…………..